LOS ANGELES, CA / ACCESSWIRE / November 3, 2016 / Christian Stanfield is pleased to announce the launch of the second edition of Lab 99, a comic book series created by Nebula Creatives, which introduces new heroes and villains and is set in space, near the Milky Way. The comic book craze is at its peak, what with all the movies and TV shows depicting popular comic book characters dominating the small and big screen. However, readers can get bored of the same old characters after a while. 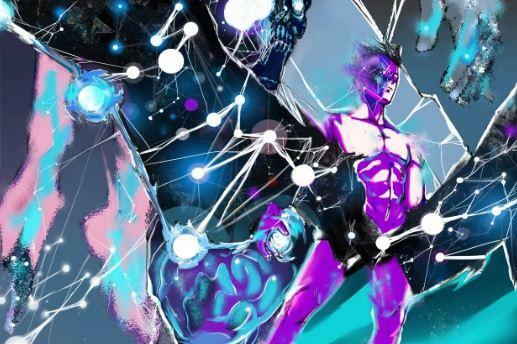 Into this realm steps Lab 99, a new comic book series that aims to buck the trend and give comic book lovers a new story and concept. Lab 99 is produced and created by Nebula Creatives, a company based in Chicago. The story is set in a parallel universe where the main character, Professor Edouard, and other aliens live in the titular lab. The story follows his adventure as he comes down to Earth after completing his mission. The series sets up a parallel between the creatures of the parallel universe that appear similar to humans but are not. The creators of Lab 99 are Christian Stanfield and Rujanee Mahakanjana. Rujanee actually wrote a screenplay titled Lab 99 as well before she and Christian started developing it as a comic book series. Joining them on their mission is Oscar Joyo, who does the artwork for the comic book. The team behind the series is proud of their independent infrastructure. In a bid to maintain their independence and to establish a close connect with their readers, they have set up a campaign on Indiegogo to raise the funds to produce the second edition of their comic book series. The first edition of their series is available for free, as a digital download, on their website. "In particular, this campaign is to raise funds for the second issue, picking up right where the first left off. We are currently offering both digital and printed copies of the first and second issues, with many more rewards to come. Our goal is to continue creating many more issues as well, beyond these first two, as the story continues to develop," says Stanfield. Lab 99 is a comic book series set in space, in a parallel universe, where aliens inhabit the Laboratory, which serves as their home and nerve center. Each edition of the comic book will continue this story and answer the main question: do these aliens pose a threat to humankind or are they allies? To learn more about Lab 99, please visit: https://goo.gl/4GFUwM.